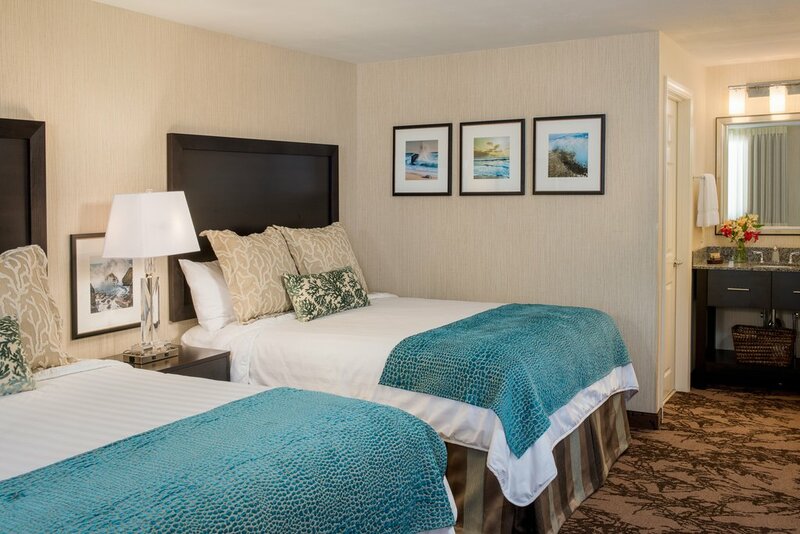 Perfect for families and small groups looking for a coastal oasis, our spacious Two Queens Room features two large beds with pillow top mattresses, plush pillows, and luxury linens. Bright beach-inspired décor creates a relaxing ambiance, a place to escape the everyday noise of the city. 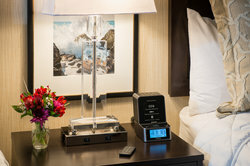 Reserve your Two Queens Room today and start dreaming about seaside Maine. Within your spacious room, you’ll find comforts to remind you of your own home such as a mini-fridge, microwave, high definition TV, and free Wi-Fi. Port Inn Kennebunk is dog-friendly, complete with an outdoor walking area and welcome treat bag to ensure that your whole family has a comfortable stay. 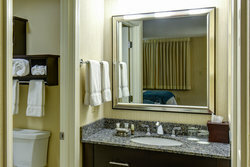 Our doors are open to you and we’re happy to provide the perfect place for you to call home during your trip! 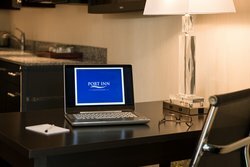 Allow yourself to become immersed in the serene atmosphere of the Port Inn Kennebunk, where you can linger on the outdoor terrace or by the lobby fireplace. Included in your reservation is an upscale continental breakfast each morning, access to our outdoor saltwater pool, and helpful beach passes to enhance your trip to the coast. We’re always here to offer restaurant recommendations, our favorite local points of interest, and ideas for day trips!